While importing CRM 4.0 organization to CRM 2011 environment we were kept getting error and error log is recording error as mentioned below..
After investigating this issue further (and trying import multiple times) we guessed that issue is coming because CRM 4.0 organization had one of the unsupported customization applied on one of system entity relationship behaviour. So first thing is to find out which entity relationship is causing this issue and once this is found then revert that changes in staging database (on top of fresh CRM 4.0 database before importing in to CRM 2011 as Organization). We found this entity relationship and it is against “contact_as_responsible_contact” for this current Organization. The way to find this out is compare your organization’s EntityRelationship table against standard out of the box CRM 4.0 EntityRelationship table. 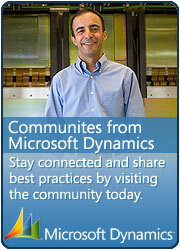 This entry was posted in CRM 2011, Error and tagged CRM 2011, Unsupported on March 21, 2012 by mayankp. I am also having the same kind of issue. can you suggest me the way to find the Unsupported customization in relationships? if your error log comes with same stack trace then this could be due to Entity relationship behaviour..
Now compare the table records for metadataschema.entityrelationship for system generated entity on NEW_MSCRM database and your CRM 4.0 Organization. you can export record to excel then compare it or use any other tools to compare two data table records..
once you find problematic relationship then just run script to fix this. Can you please elaborate how to do that comparison, i started comparing OOB crm with my customized CRM, im getting lot of difference because i have added many custom relationship. In that how to find either those or supported or unsupported. Do you have any query to filter out this. Please reply. Basically you ingnore custom relationsho created by you/other developer. you only need to compare system relationships. firstly are you getting same error that is described in blog above? check output log file to see which step the upgrade process is failing? it all depends on where it is failing and based on that you can investigate this further.. I installed SP1 on premise CRM 2013 server. SP1 complete successfully, but when try update organization (before version 6.0.2.51) i got error: System.ArgumentException: An item with the same key has already been added. After unsuccessful update organization, when i try connect to this organization (crm.mycompany.com/Company) i got 404 error. When I try to run the above script, but the parameter [CustomizationLeve1] – invalid column name, why? I completed script on SQL 2008r2. 02:39:50| Info| GetDBUpdateRevisionThresholdForServer(): Threshold = 6.1.0000.0581. Please help to solve the problem?